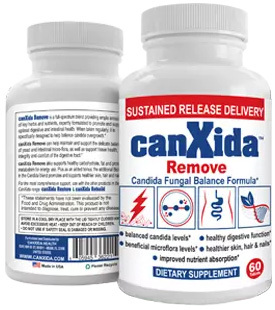 Everyone’s Candida Journey Has A Different Outcome - YeastInfection.Org by Eric Bakker N.D.
July 26, 2013 by Eric Bakker N.D.
You may be a person suffering with Candida right now, and if you are then you will be able to find the answer to your problems shortly, and if you apply the principles I outline in this article in particular, then you are sure to get the results you are looking for, even after having suffered with yeast related issues for one, five, ten or more than twenty years. The person may have been misdiagnosed and treated for another condition. The person may have been treated, but relapsed due to poor follow-up. The person aggravated after the first treatment and never came back. The person did not follow the plan effectively or gave up on the diet soon. The person thought they could beat a yeast infection with supplements alone. The person did not stop drinking alcohol entirely, no matter how little consumed. The person regularly takes prescribed drugs, maybe the Pill or antibiotics. The person does not adopt rest, exercise or support a healthy lifestyle. The person is subject continually to a low-grade stressful lifestyle. The person is in denial and wants to have his or her cake and eat it too. I’ve always said that it is the intelligent patients who are the ones who only stay sick for a short period of time; they earn from their mistakes and then move on. It is the ignorant ones or people in denial who are more likely to get sick and stay that way recurrently and sometimes even permanently, and that’s just how it goes unfortunately. You may think that I’m a bit hard on people and that’s OK, this is my experience based on seeing tens of thousands of patients over the years. Those who are willing to learn why they got sick in the first place and are willing to correct their lifestyle and dietary indiscretions are the ones who come out on top a lot sooner than those who remain blissfully ignorant and are not interested in making the changes necessary. The definition of insanity is to do the same thing over and over and expect a different result. If you follow the Candida Crusher Program your outcome is certain, and if you can strongly relate to the signs and symptoms of candida yeast infection in chapter 3, and you stick to the game plan, you will win. That’s all there is to it.